Coral Expeditions pioneered extended cruising on Australia's Great Barrier Reef in 1983, taking guests to the remote reaches of this remarkable region. A vibrant underwater world hides just beneath the surface and whether you experience the Reef by glass bottom boat, snorkelling or SCUBA diving, it is a world filled with coral, marine life and rainbow-coloured fish. 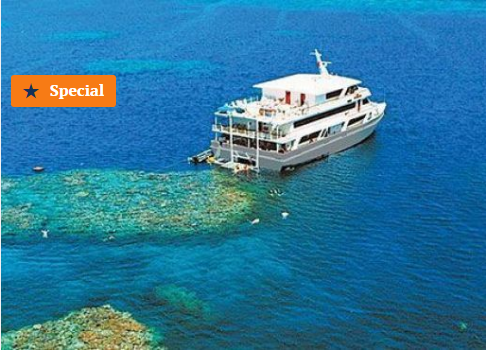 Contact Expedition Cruise Specialists for the ultimate Great Barrier Reef experience. Snorkel over the majestic Ribbon Reefs, explore ashore at Lizard and Fitzroy islands and cruise the scenic Hinchinbrook Channel. Discover historic Cooktown. It was here that the famous explorer Captain James Cook took refuge during his voyage of discovery after claiming Australia as a British colony in 1770. You have the option to visit Cooktown's fascinating historical museum featuring artefacts from Cook's ship - Endeavour. See the original anchor and cannon, jettisoned overboard after Endeavour struck a reef and began taking on water. Cooktown is steeped in history with most stone buildings dating back over a century. Perhaps visit the Botanic Gardens, where you may catch a glimpse of native Australian wildlife including kangaroos and wallabies. Later, visit one of the remote uninhabited islands of the Great Barrier Reef. Join the marine biologist for a glass bottom boat tour over the colourful coral gardens and discover some of the 1,500 species of tropical fish found in these waters. Enjoy your first snorkelling opportunity for an up-close view of the hundreds of varieties of coral growing on this section of reef. The experienced crew will be on hand to provide assistance, advice and guided snorkelling tours for less experienced swimmers. 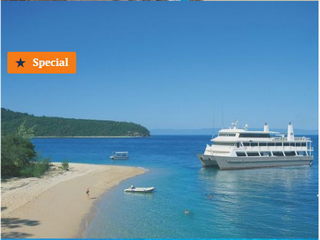 Discover Coral Expeditions' very own tropical paradise, Pelorus Island. 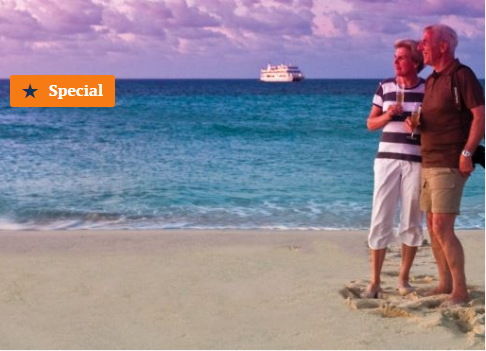 Transfer over to the pretty beach for a gourmet beach BBQ, freshly prepared by the Captain. Then, explore the surrounding rainforest on a guided nature walk. Pelorus' fringing reef, in the shallow waters just metres off the beach, offers some fantastic snorkelling opportunities. Admire the colourful corals from the glass bottom boat with the Marine Biologist, accompany the Dive Instructor on a guided SCUBA dive or simply relax on the long stretch of golden beach, the choice is yours! Discover Nathan Reef at your own pace. From the exclusive mooring, experience some of the most colourful coral gardens found anywhere along the entire length of the reef. View many of the 400 different species of coral living in this World Heritage-listed wonderland. Venture in to the warm tropical waters to explore the corals and marine life on a guided snorkelling tour and join the Marine Biologist for a glass bottom boat tour. For the ultimate Great Barrier Reef experience, take the plunge in the company of the Dive Instructor on an unforgettable SCUBA dive. Later, discover some of the amazing creatures living on the reef at the on-board display tank. Enjoy the rare opportunity for a close up look at sea cucumbers, brightly coloured starfish and other marine life. Laze away the late afternoon on the sun deck, enjoying the comfortable onboard facilities. Explore Cairns at your own pace or join an included visit to Tjapukai Aboriginal Cultural Park for a taste of indigenous culture before reboarding Coral Expeditions II. Cruise past the pretty coastal village of Palm Cove as the sun sets over the Macalister Range. A photographer's delight, the views from the lookout over the World Heritage-listed reef and surrounding tropical islands are magnificent. Lizard Island's fringing reef, in the shallow waters just metres off the beach, offers some fantastic snorkelling opportunities. Discover giant clams and a profusion of fish. Enjoy the remainder of the morning at your leisure. You may wish to simply relax on the golden beach soaking up the sun, join the Marine Biologist for a glass bottom boat tour, or for the ultimate Great Barrier Reef experience, accompany the Dive Instructor on an unforgettable SCUBA dive. The choice is yours! Later, cruise to Ribbon Reef No. 9, a spectacular and seldom visited part of the reef where activities include more snorkelling opportunities and glass bottom boat tours with the Marine Biologist. Cruise to Ribbon Reef No. 9, a spectacular and seldom visited part of the reef where activities will include more snorkelling opportunities and glass bottom boat tours with the Marine Biologist.The Great Barrier Reef is not actually one continuous reef, but a series of thousands of individual coral cays stretching almost 3,000 kilometres between the town of Bundaberg and the tip of Australia at Cape York. Visit two of the most pristine sections of the reef, Ribbon Reef No. 3 and Rachel Carson Reef. Explore the coral gardens and marine life with guided snorkelling and glass bottom boat tours. We’re so much more than just another travel agency. 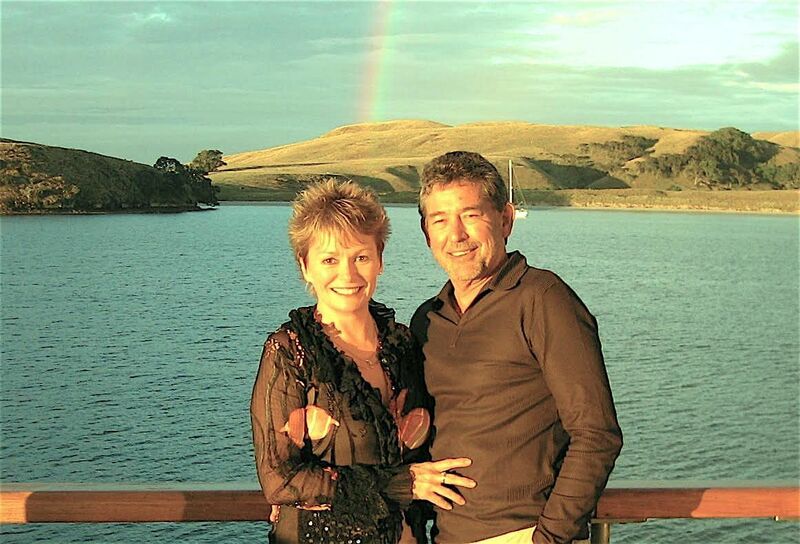 Our knowledge and experience adds extra value by ensuring you select the best trip for you. We've hand-picked the best ships - ask us what sets our small ships apart from the rest. 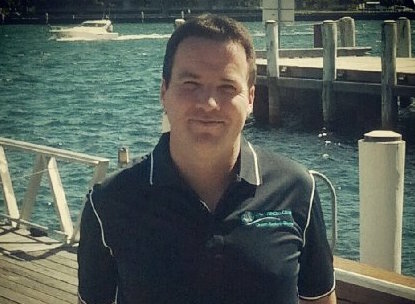 You will speak with just one dedicated expedition specialist who will listen, discuss, co-ordinate and prepare your Great Barrier Reef expedition from start to finish. You will be able to reach your dedicated expedition specialist 24 hours a day.